Recipes & Tips for Plant Based, Whole Foods Eating. Are you slightly intimidated by Tofu? If so, you are not alone. Tofu is a great source of protein that can take the place of meat in many recipes, but few people know how to prepare it. 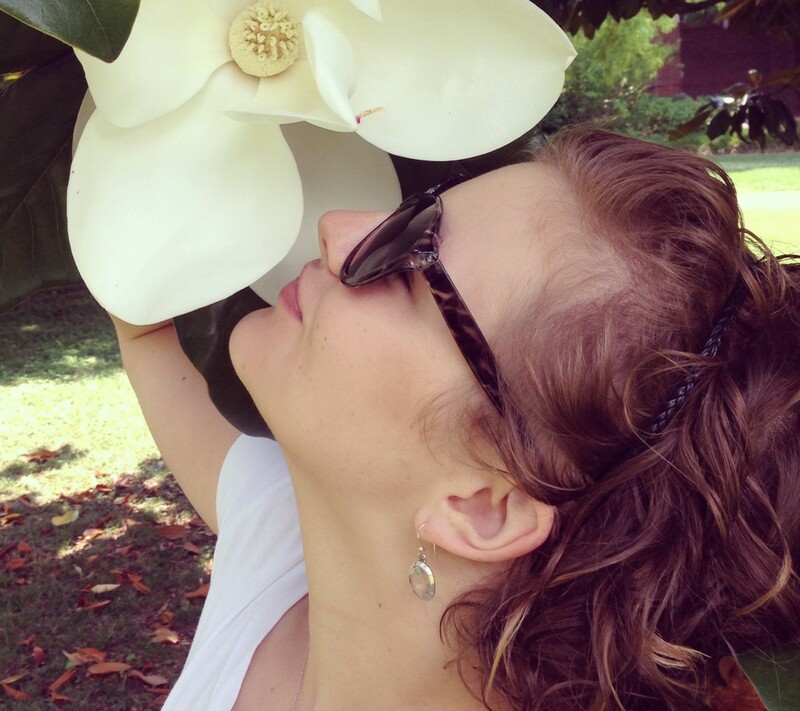 With a little know-how you can stop being intimidated by it and start using it! Tofu is made from soy beans. The soybeans are first processed to produce soy milk, and then the soy milk is coagulated into blocks. It is very bland, and easily takes on the flavor of anything that is added to it. 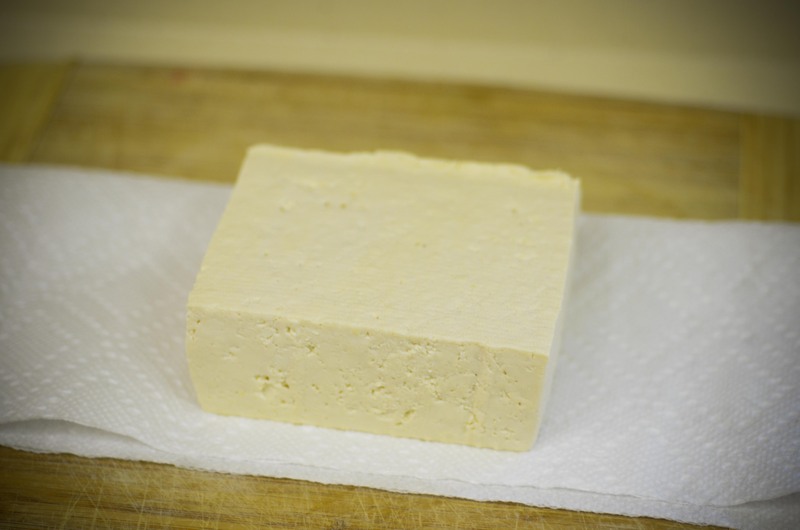 Tofu comes in several varieties depending on water content. The more water it contains, the softer the tofu. 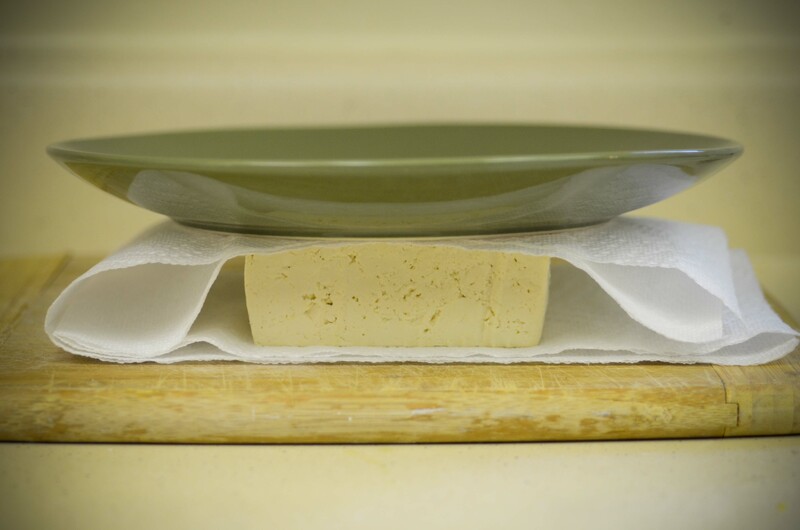 Silken tofu is the softest, and extra-firm is the hardest. Silken tofu is great for blending into smoothies and soups, and if chopped and cooked will not stay together. If you want to use tofu as a meat replacement, I recommend buying firm or extra-firm. This, when used correctly, will stay together much better when cooking. 1. Cut open the package of tofu and strain off all of the water. 2. Carefully remove the block from the package and press it gently between two paper towels to absorb as much water as possible. Place the block between two fresh paper towels on a hard surface. 3. Place a heavy object on top of the block and paper towels. Allow to sit for 10 minutes. 4. After it is well drained, you can cube, slice, or crumble the block according to your recipe. Note: While tofu is an excellent source of protein, I try to only use soy-based products once a week or so because I have heard that high levels of soy consumption can be estrogenic, meaning it can increase levels of estrogen in the body in both men and women. Moderation in all things! Beans, as you may have heard, are magical. They are magical not because they give you gas (which can be avoided, FYI! ), but because they are a low-fat, protein & iron-rich food that comes completely unprocessed from plants! Yay! They are also delicious. I didn’t always like beans. In fact, when I was younger I pretty much avoided them as much as possible. I’m not sure what changed, but after preparing them myself for several years, they have become a staple in my diet. I even crave them. If you only buy beans in a can, you are missing out. Not only is it WAY more expensive to buy them in a can, but they are also more processed and contain a lot more salt than is necessary. Most people avoid cooking their own beans from dry because it is so time consuming. Well guess what? It’s time to get over that. With a little thinking ahead, you can have your own beans that are ready to use at a moments notice WITHOUT using canned. The secret? Cooking & freezing beans in bulk. Every 6-8 weeks I take about a day to soak, cook, & freeze enough beans in a few varieties to last us for the next 6-8 weeks. 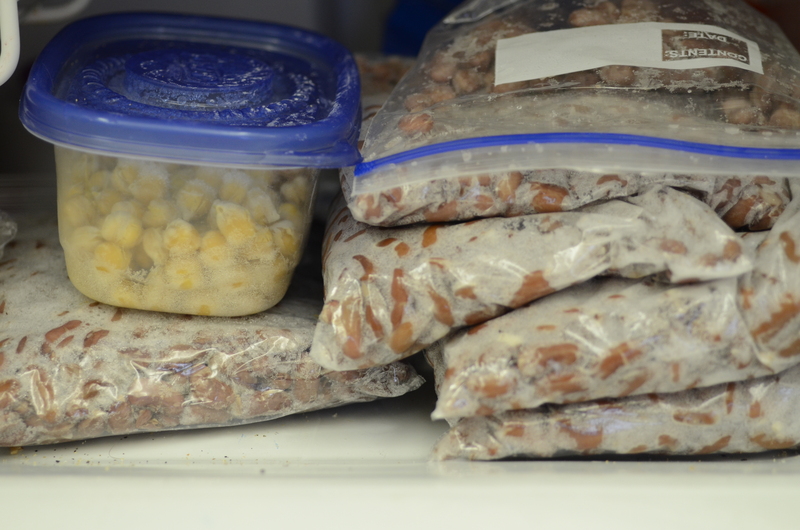 I usually freeze them in quart bags, which I lay flat in my freezer and they stack up quite nicely. When I want to use them, I just pop them out of the freezer, into the microwave on defrost, or right into a pot already cooking full of goodness on the stove. Ta da! The method I use is simple. It is a little time consuming, but definitely NOT labor intensive. You just have to plan ahead a little bit. This method is the soak-rinse-cook-rinse method, and when followed, will DRASTICALLY REDUCE if not ELIMINATE the dreaded gaseous side affects from eating beans. Place your dry beans in a bowl. Choose a bowl that is large enough that you only fill it about half-way, because when beans soak, they expand a lot. Cover the beans in cool water with about 1-2 inches of water above the level of the beans. Cover with a dish towel and allow to sit overnight, or for at least 10-12 hours. When you come back to your beans, you will notice they have expanded nicely! Good job, beans! Rinse them thoroughly under cold water in a colander. Put the rinsed beans into either a pot on the stove or a crockpot. Cover again with water, about 1-2 inches above the level of the beans. Season as desired. I usually add a little salt, garlic & onion powder. Cook until soft. The amount of time needed to cook depends on the variety of the beans. Black beans are a pretty hard bean, and will take longer, whereas great northern beans or navy beans are much softer and will take less time. Be careful not to overcook them because they will become mushy in any dish you add them to. Unless you are making refried beans, then it doesn’t matter as much. It is usually about 1 hour. This is a great list of recommended cooking times for beans. If cooking in a crockpot, you can put it on high for 3-4 hours, or on low for 5-6 hours. I usually have one variety cooking in my crockpot and another two boiling on my stove. After cooking is complete, rinse the beans again in a colander under cool water. Rinsing the beans twice is very important for washing away the chemicals that give you gas. Rinse rinse rinse!! Fill your quart bags 1/2 full and lay flat in the freezer. One of these bags is usually the perfect portion of beans for my small family of 3. The three staple varieties in my household are black beans, pinto beans, and kidney beans. Give beans a chance! They are a wonderful food!